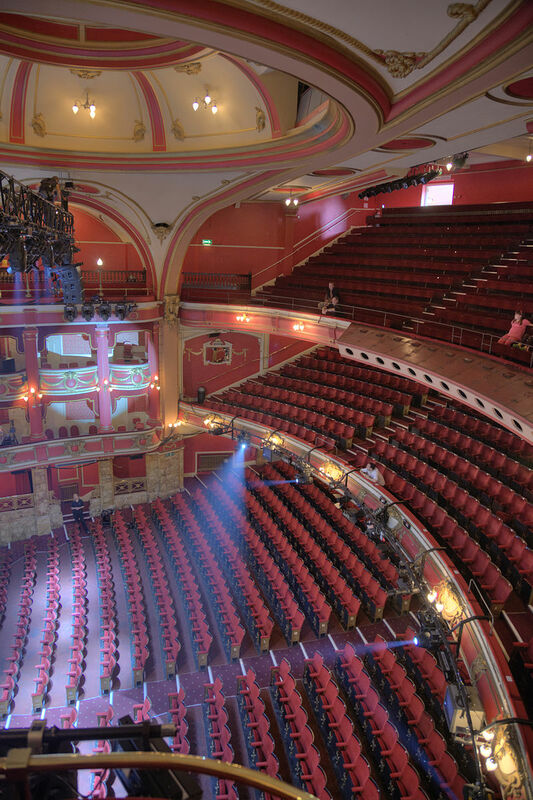 The theatre was designed by Frank Matcham, and opened on 16 December 1912. It has been designated by English Heritage as a grade II listed building. 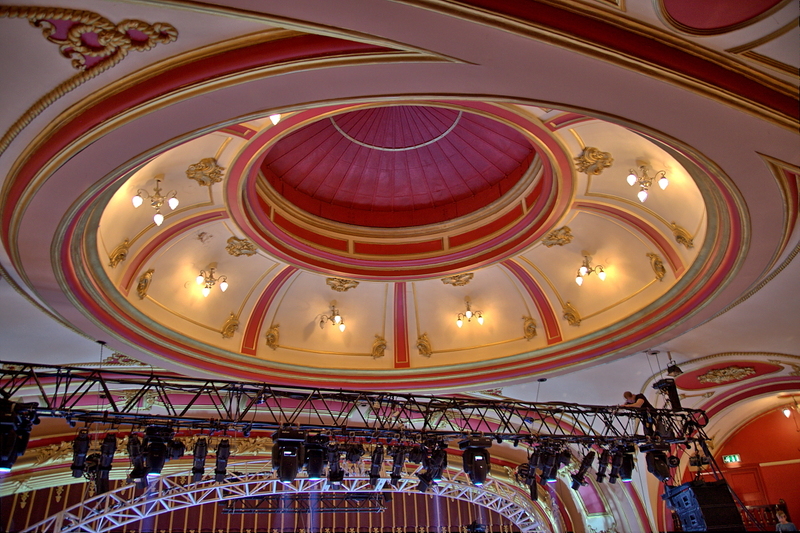 An important feature of the theatre when it opened was a huge water tank at the front of the stage; which could be filled with 100,000 gallons (450,000 litres) of water. Along with the tank was a large protective glass screen which could be raised in order to protect the orchestra and those in the stalls. It also has a dome, which can be opened when necessary; however since air conditioning had been installed it is rarely opened. The theatre survived World War II, however less than three years after it ended on February 18th 1948, a fire destroyed the stage and backstage areas — luckily the auditorium was saved. The theatre reopened about 10 months later, and there have been no other disasters as severe. Gas lighting was in use in the auditorium walkways as a secondary source of light if the mains electricity should fail, until it was upgraded in the 1990s (approximately) to a battery backed-up system. 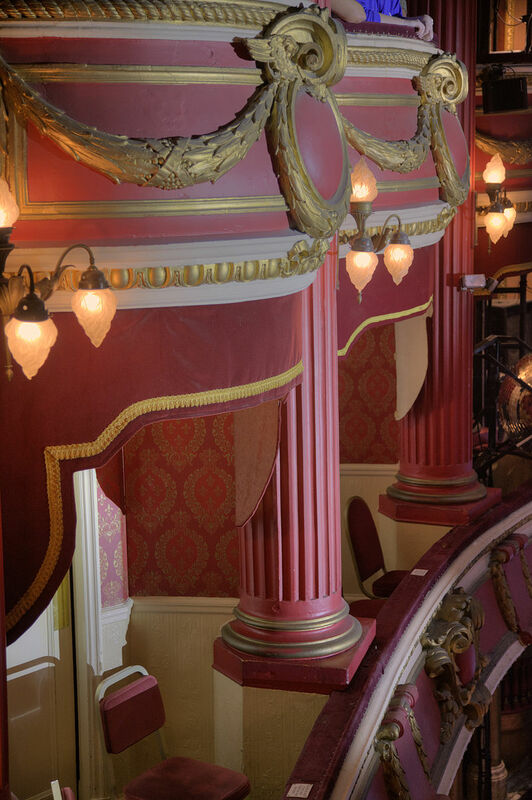 Previously owned by the Stoll Moss group, the venue is currently owned by the Ambassadors Theatre Group (ATG). 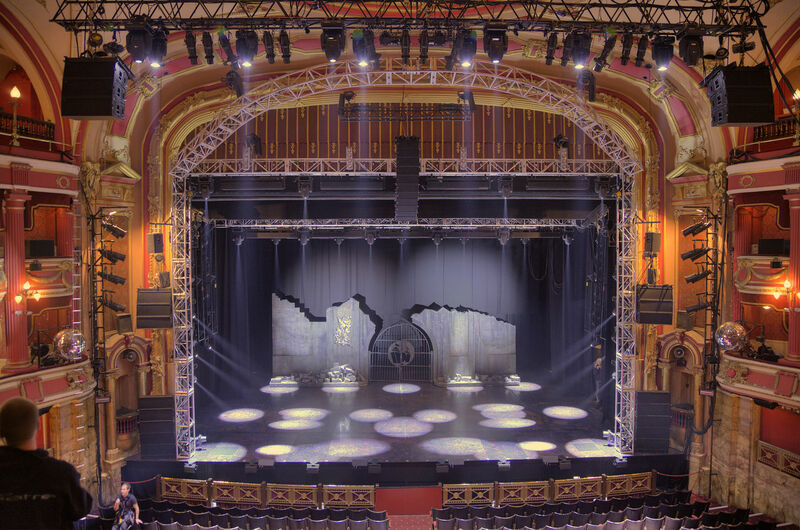 The theatre now plays host to touring versions of many top shows, such as Lion King, Phantom of the Opera, We Will Rock You, Miss Saigon, Cats, Les Misérables, and Blood Brothers. This is due to the size of its stage, which is one of the largest outside of London. In addition to large musicals it is also a venue for opera, ballet, childrens’ shows, drama, stand-up comedy, and an annual pantomime. 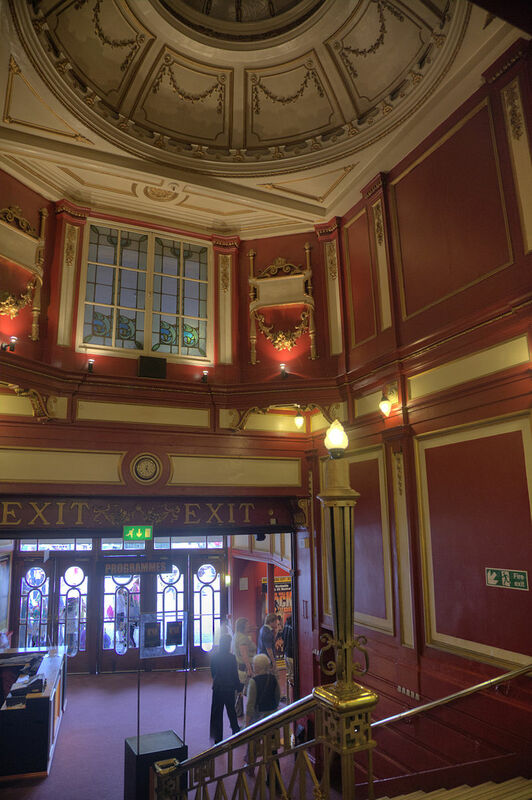 The Bristol Hippodrome has strong links with many shows that frequently appear there, such as the Welsh National Opera. In 2012 the theatre celebrated its centenary with a show called Thanks for the Memories, staged by amateur groups Bristol Light Opera Club and Bristol Musical Youth Productions. Electrics: Strand Grand Master board on SR perch. Dimmers – 95 (1kW to 3kW). Circuits – FOH 11 (Circle Front and Boxes); Flies 14; Stage dips 20. Socket type – 25A Strand and 15A BESA. Total capacity available – 700A on 3 phases. Special effects supply – 250A on 3 phases. Follow spots – in rear of Gallery, 3 sunspots. Footlights cannot be covered. Sound: Console SR. 2 x 20W amplifiers. Tape decks – 1. Turntables – none. Mic sockets – 6 (Cannon). Loudspeakers – 4 on pros. wall.